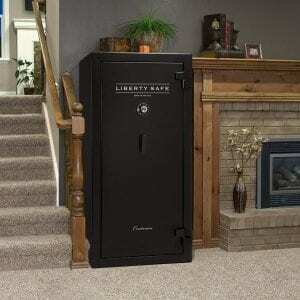 There’s nothing like a Liberty Safe Presidential. Packed with fire and security features like never before, it’s the best of the best! 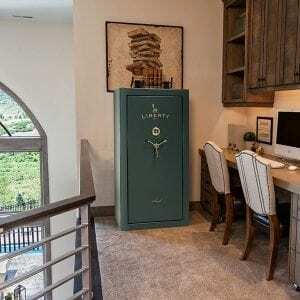 If you are looking for ultimate peace of mind and the pinnacle of fire protection and security…It doesn’t get any better than this – The Presidential by Liberty Safe! 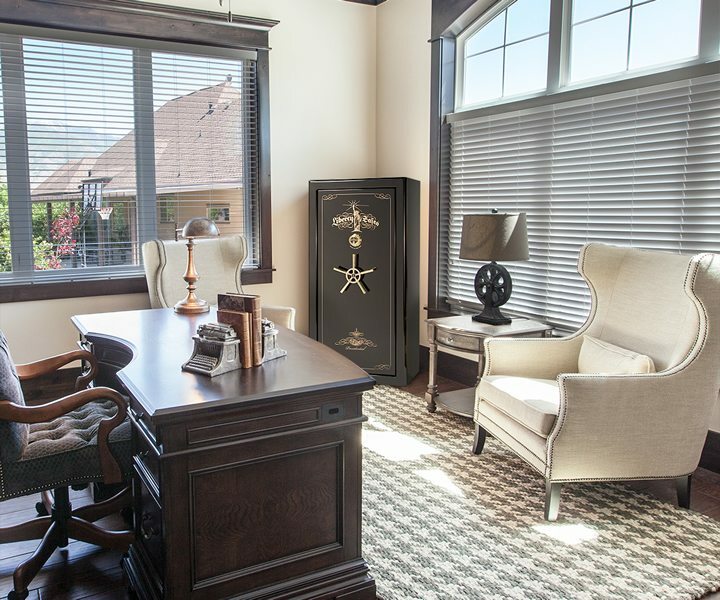 The Liberty Safe Presidential’s amazing 2.5 HOURS of fire protection and massive 6″ door not only protects from fire but also adds our “best in class” security features. Liberty’s drill snapping ball-bearing hardplate, gear drive mechanism with slip clutch and thicker 7 gauge steel body combine to enhance security. A touch of class is added with Liberty’s exclusive 5-point ships wheel handle, elegant hand applied beveled edge finishes and CLEARVIEW LIGHTED velour interior with our Premium Accessory Door Panel make it…Presidential! All Presidential models include S&G’s upgraded 6730 mechanical lock, which has the same +1.25 dialing tolerance, but has dual locking wheels (harder for numbers to slip when spinning the dial too fast and hard), and brass wheel centers for extended durability. 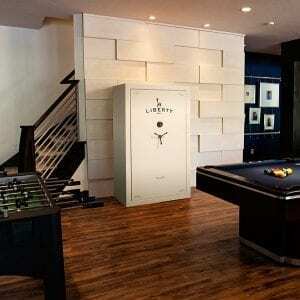 This large safe is available in three sizes- 25, 40 and 50-and in a variety of colors, including Marble Gloss!